This special offer entitles the bride to a Free Complimentary Ticket to a Wedding Steps Bridal Show! 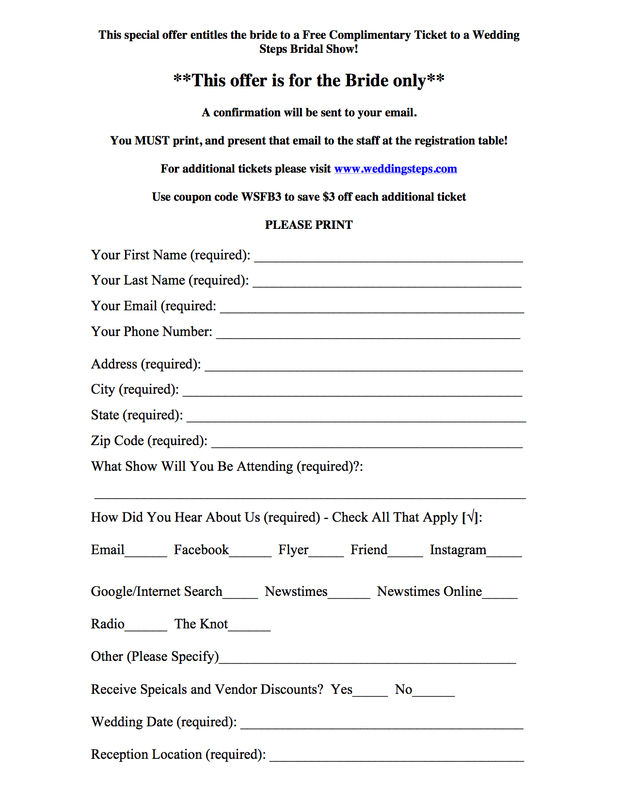 You MUST print, and present that email to the staff at the registration table! Receive specials and vendor discounts? If you’re having trouble completing the form online, please download the form, complete it and bring it with you to the show. It will act as your free ticket!